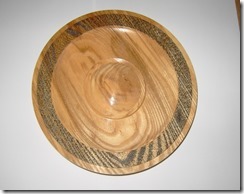 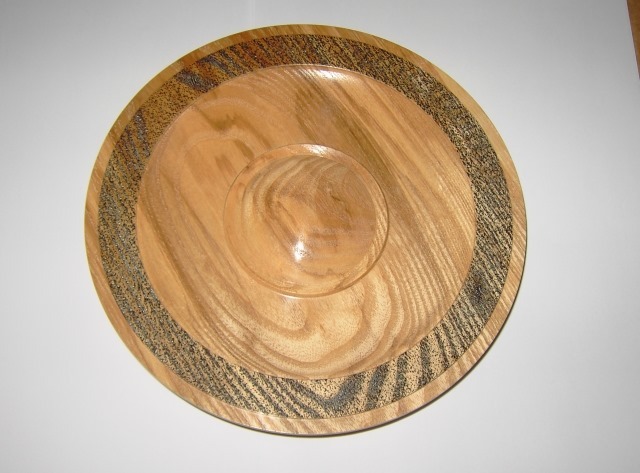 Here is a plate in Olive Ash, about 7 inches across. 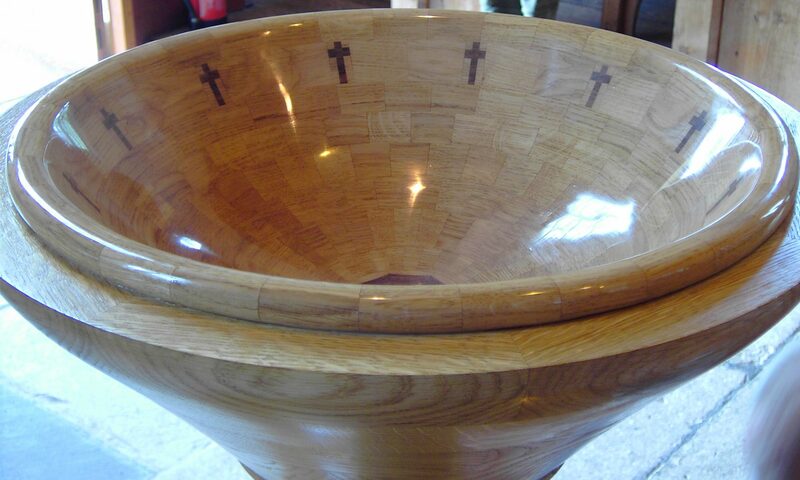 The middle is raised to give a central “Boss” and the edge is textured and stained. 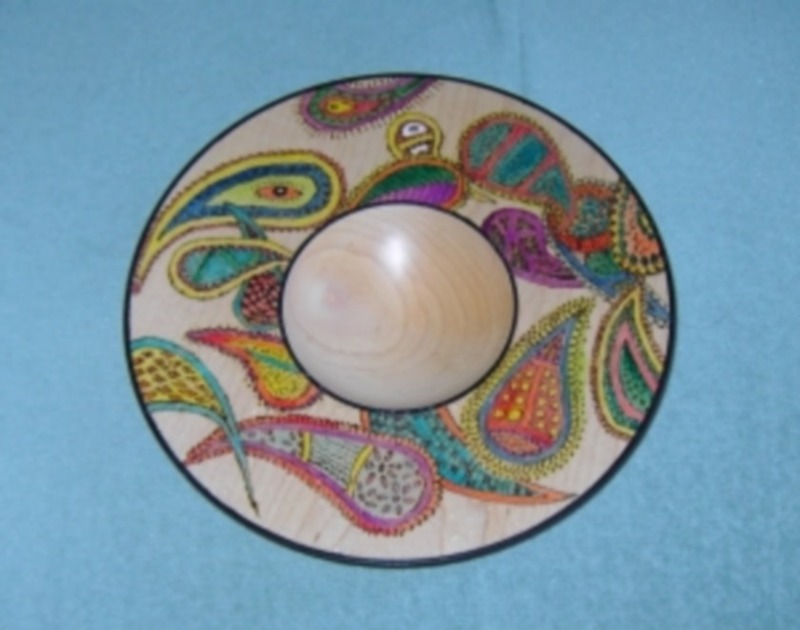 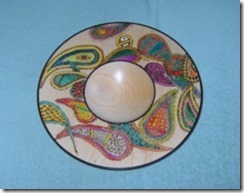 This piece is made from Maple with a Paisley design, hand drawn and coloured.